Valentine’s Day Dance at Greenbriar: 6:30 p.m. Feb. 8, 2019; Greenbriar Community Center, 5200 Hemphill St.
Family Valentine’s Party at R.D. Evans Community Center: 6:30 p.m. Feb. 8, 2019; R.D. Evans Community Center, 3242 Lackland Rd..
Love Muffins’ Day at Diamond Hill Community Center: 3:30 p.m. Feb. 14, 2019; Diamond Hill Community Center, 1701 NE 36th St.
Valentine’s Dance at Andrew Doc Session Community Center: 5:30 p.m. Feb. 14, 2019; Andrew Doc Session Community Center, 201 S. Sylvania. Mother Son Date Night at Victory Forest Community Center: 6 p.m. Feb. 14, 2019; Victory Forest Community Center, 3427 Hemphill St.
Daddy Daughter Dance at Chisholm Trail Community Center: 6 p.m. Feb. 16, 2019; Chisholm Trail Community Center, 4936 McPherson Blvd. Southlake’s annual family-friendly Valentine’s dance will be held at Legends Hall on Saturday, February 9. You are cordially invited to the Sweetheart Dance, Southlake’s Valentine’s Day celebration for the whole family! When: 5:30 – 7:00 p.m. or 7:30 – 9:00 p.m. Registration is required, and parents must register with children. We look forward to seeing you there! For more information, please call Southlake Community Services at (817) 748-8019. Get Ready for a Very Beary Preschool Valentine’s Day! Kids ages 3–5 are invited to celebrate Valentine’s Day with their favorite teddy bear at this special preschool program on Friday, February 1. This Valentine’s Day, Southlake Parks and Recreation is inviting preschoolers and their favorite teddy bear to join us for a morning of games, crafts and Valentine’s-themed fun. 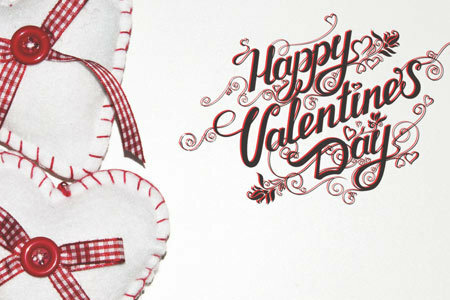 We’ll even be creating a beary special Valentine’s Day surprise! Please call Southlake Community Services at (817) 748-8019 if you have any questions. The Marq Southlake is getting into the Valentine’s Day spirit by offering “A Sweet Deal” on facility rentals. Leading up to February 15, 2016 guests who book a rental at The Marq can receive “A Sweet Deal” that consists of complimentary facility amenities and/or additional hours of rental time with a value of up to 14% of a guest’s total room rental. For example, 14% off of a Saturday Traditions Ballroom rental would amount to about $900. To learn more about “A Sweet Deal” or The Marq Southlake visit www.TheMarqSouthlake.com, or contact Danielle Nelson, Sales Specialist at The Marq, at 817-748-8920 or at sales@TheMarqSouthlake.com. 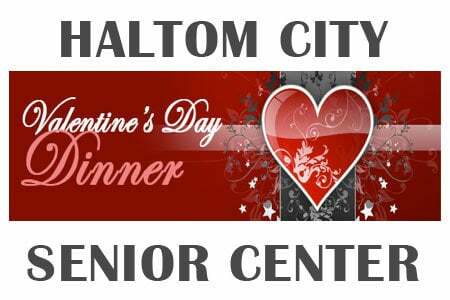 The Haltom Senior Center will be hosting a Valentine’s Day Dinner on Sunday, February 14th from 4 – 6:00 p.m. Five dollars will get you dinner (spaghetti, salad, garlic bread, dessert & tea) and dancing, with entertainment provided by Ken Nelson. Seating is limited, so reserve your spot by calling the Senior Center at 817-834-8021. Pick up a free take home craft at the Haltom City Public Library on Saturday, Feb. 13th at the check-out desk. Age levels are kindergarten to 5th graders. Tickets go on sale January 11, 2016. Please call 817.788.7320 for more information!